Paul from 3DOn Ltd. presented at an event I attended a month or so ago. After his presentation, I asked him if we could tell the SketchUp community about his product, 3DOn ARchitecture. He said yes, but at the time the app was only available in the UK. Now it’s available to SketchUp users all over the world. Hooray! 3DOn ARchitecture is an augmented reality app for architects. 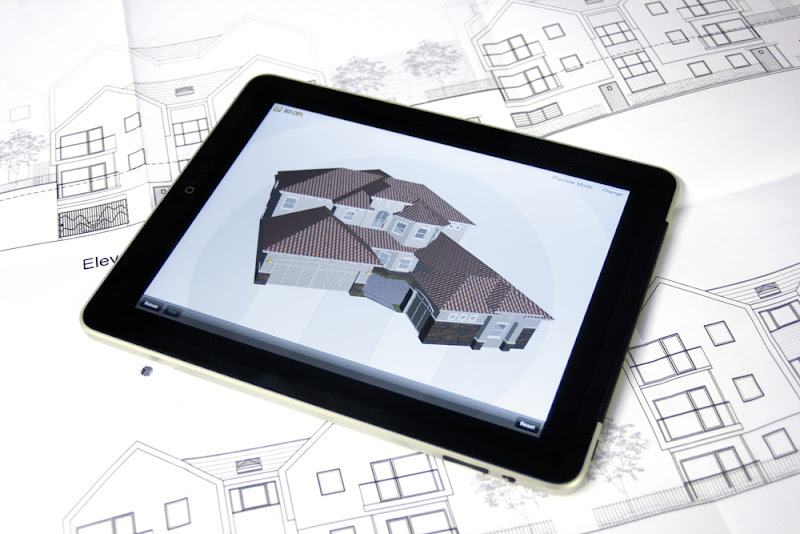 It allows you to upload your SketchUp models and view them on an iPhone or an iPad in three different modes. Preview mode lets you overlay your model onto a photograph of your site. Walk mode lets you explore your model inside and out, and On-site mode lets you view your model in situ—in real time. 3DOn ARchitecture can be downloaded for iPhone (3GS or later) or iPad. For more information, you can visit the 3DOn website or follow the 3DOn team on Twitter. I tried downloading the app but a popup indicated the app was not compatible with my (USA) ipad2. Something about needing a gps. This seems to adequately handle Sketchup models, but the only problem is that it requires them to be submitted/donated to the sponsors Web site, rather than loading them through a local private method such as dropbox or email. It quite a privacy invasion and a deal breaker for now. Is that an intentional stipulation for the use of the program, or is the functionality to use a local file still in progress? have u develop this app for android? There's also SightSpace3D you reported in the Newsletter two months ago. I use it in my iTouch4 and love it. I am glad there's another - and I will try it also. These gadgets have RAM (tiny) problem, so that the objects must be economical in resources. Watch out!